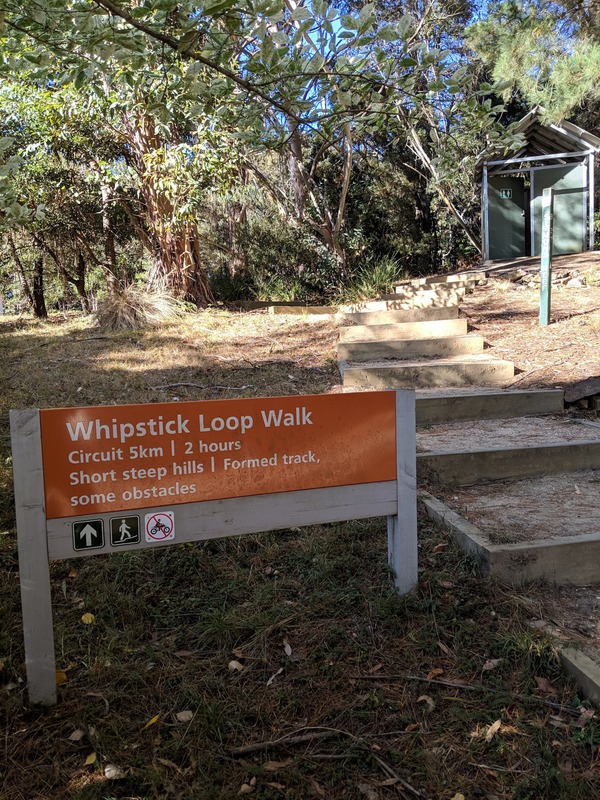 The Whipstick Loop Walk is a lovely bushwalk that meanders through the picturesque eucalypts and tree fern-lined gullies of the Wombat State Forest, north-west of Melbourne. 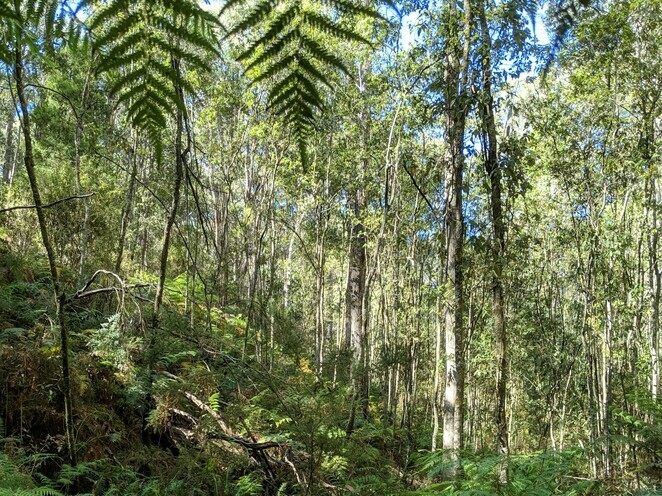 Walking through the peaceful forest, it can be hard to imagine that in the second half of the 1800s, the area was bustling with miners digging for gold, often in very harsh conditions. But there are several tantalising glimpses of this gold mining past along the walk, including entrances to mining shafts and remnants of earthen water races. 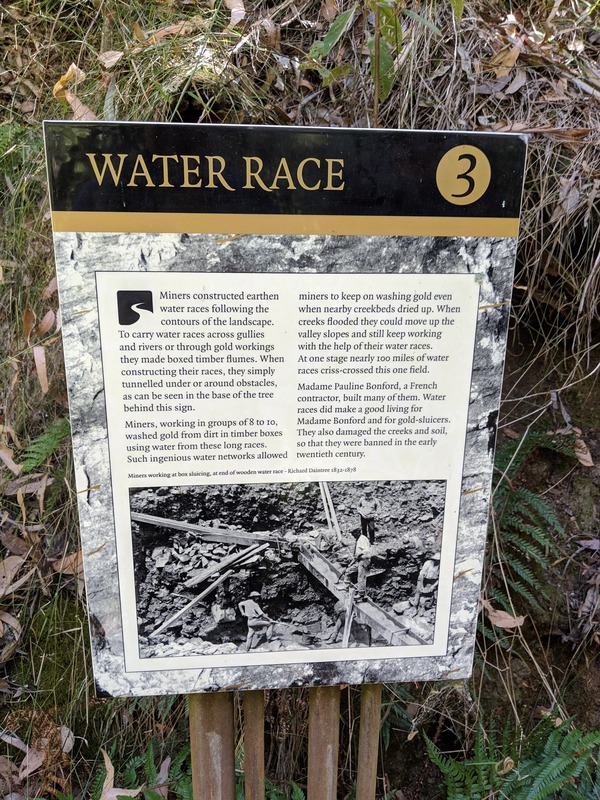 Interpretive signs along the way provide information and stories about the area's history and how the gold mining was carried out. 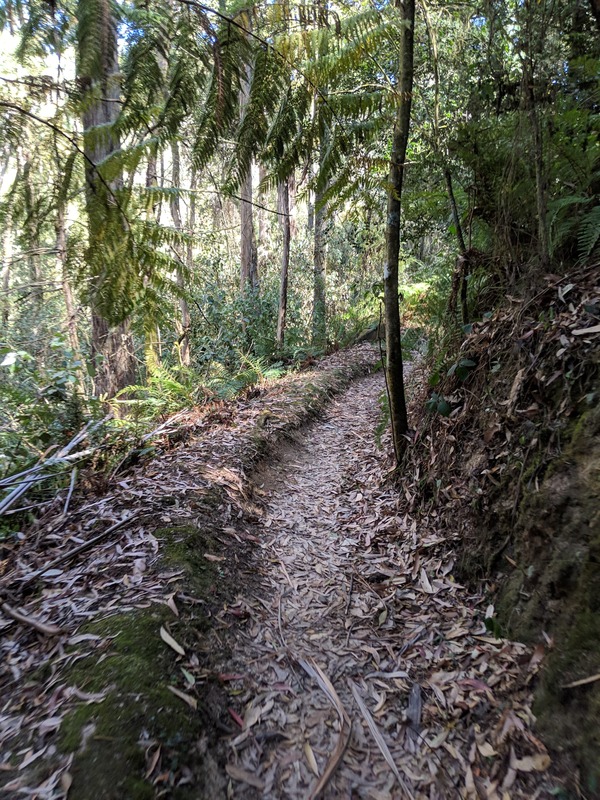 The walk is a relatively easy one, with just a few undulating ups and downs. It's about 5 kms, and starts (and finishes) from the Jack Cann Reserve at the small village of Blackwood. To get to the reserve, take the Simmons Reef Road, located just to the south of the centre of Blackwood. 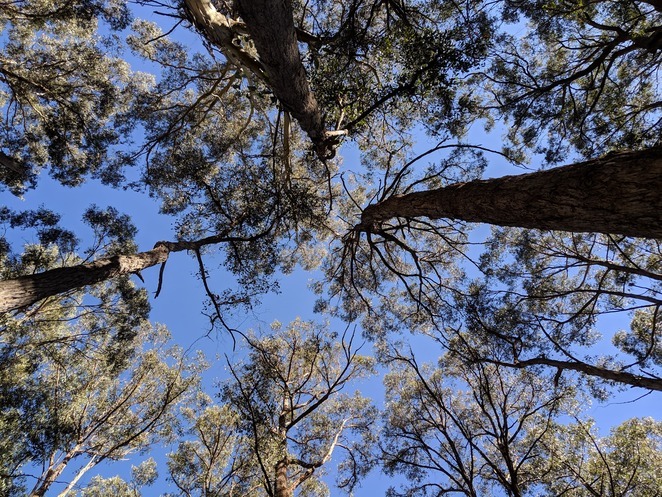 The carpark for the Jack Cann Reserve is also the carpark for the beautiful Garden of St Erth, which is worth a visit if you've got time after your walk, although note there is an entry fee. If the main carpark is full, follow the signs up the unsealed track for more car parking. The Whipstick Loop Walk is a well-marked and easy to follow walking track, although some parts are a bit rocky. Along the way, keep your eye out for mining relics. 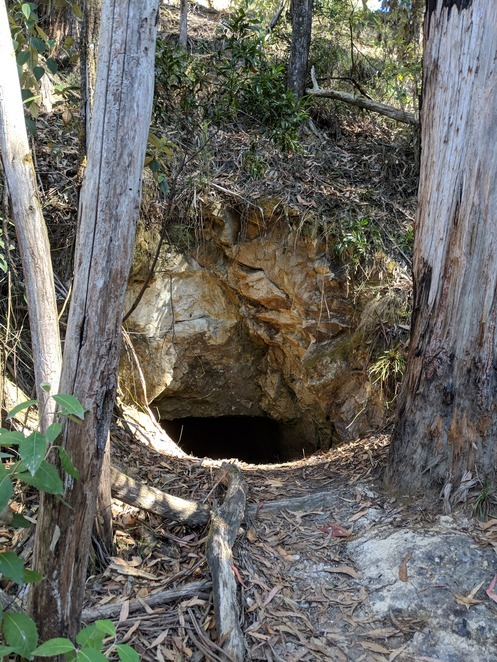 Right near the start of the walk is the intriguing entrance to a gold mining shaft, and in the second half of the walk, the track follows the contours of the hill along an old water race. A mine shaft entrance on the walk - don't fall in! 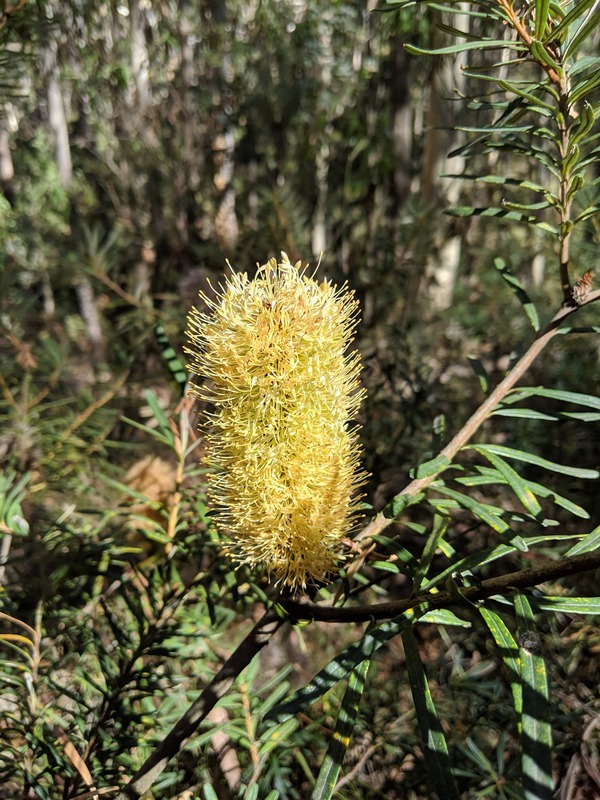 Along the way, the Whipstick Loop Walk passes through a range of forest types, including heathy dry forest and damp forest, with peppermints and messmate, and occasionally there are small footbridges that cross over wetter gullies, passing by mossy logs, a range of ferns and colourful fungi. In spring the wildflowers are on full display. And of course, for much of the walk, the trail follows the Whipstick Creek, which eventually flows into the nearby Lerderderg River. The track crosses over several fire trails, and part of the track is shared with the Great Dividing Trail. The signage at all of these intersections is mostly pretty good, although there is one ambiguous split with the Great Dividing Trail towards the end of the walk. 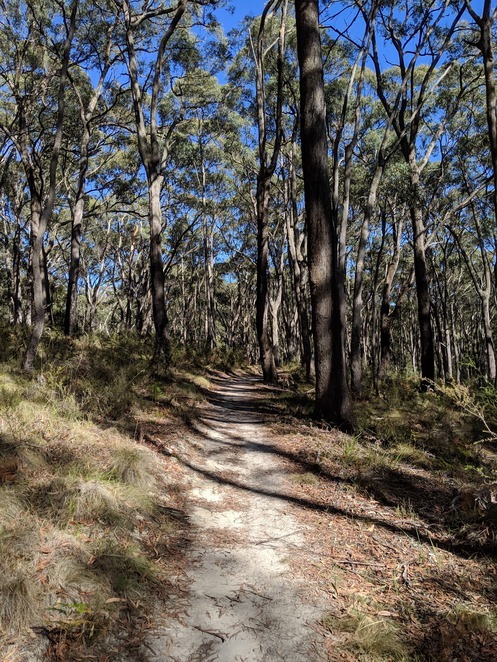 Take the lower walking track to the left here to return to the Jack Cann Reserve, as the upper track turns east and heads towards houses. The forest is home to plenty of birds, so bring your binoculars along if you're interested in a spot of bird watching. The walk returns to the Jack Cann Reserve, where there is a toilet block and picnic area. The reserve is also the starting point for another loop walk: the Lerderderg Heritage River Walk, so for walkers wanting to cover some more kilometres, the two loops could be combined for a longer hike. If you've got time, the nearby historical village of Blackwood – once a thriving goldmining town – is a great spot for refreshments and to explore afterwards.